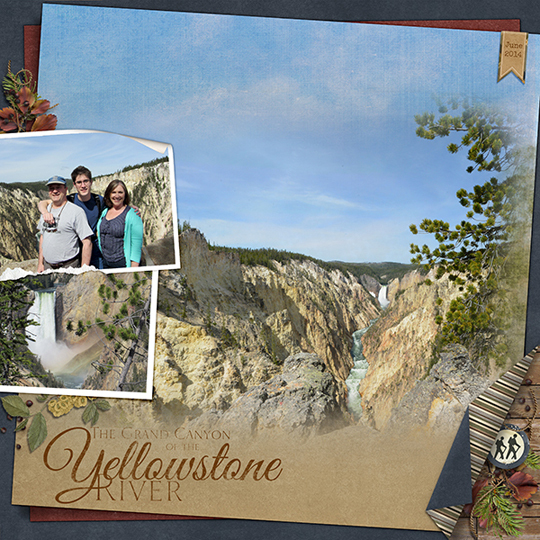 Curled products can add dimension and a bit of fun to your digital scrapbook pages. In this tutorial, I’ll show you how to use two different ScrapSimple items with curled edges. First, we’ll start with a paper from ScrapSimple Paper Templates: Curled and Torn. These curled templates come with PSD files, so they are ready to use. Place one paper over the Base layer in the Layers panel. Use a clipping mask (Ctrl+G on PC or Opt+Cmd+G on Mac) to allow the transparent part of the layer to show through. Place another paper over the Curl layer and use a clipping mask again. You can see that on this layer, the paper hides the shading of the curl so it looks flat. We can fix this with a Blending mode. 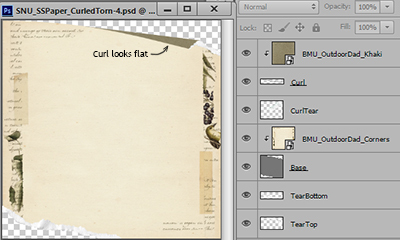 Make sure the paper above the curl layer is active in the Layers panel. 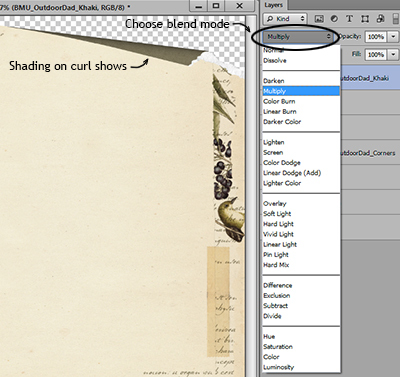 Now you can access the Blending modes by clicking on the Blending modes button. The default is Normal, and the name on the button will change when a different Blending mode is applied to the layer. Try different Blending modes until you get a look you like. I chose Multiply for this curl. For the second example, we’ll be using ScrapSimple Digital Layout Templates: Curled Paper. They also come with PSD files. Add the papers and use clipping masks just like you did on the first paper. This layout template is different because it uses layer effects (styles) to shade the curls. 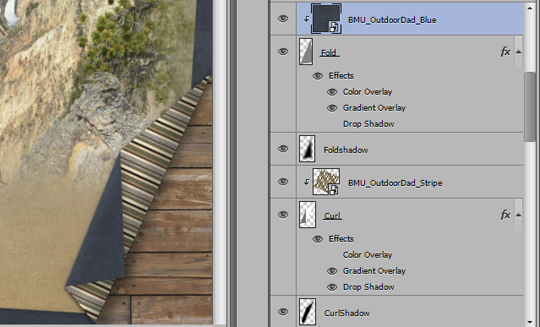 The Blending mode is included in the layer effect, so you won’t need to change the Blending modes. Try using some curled products to add movement and dimension to your digital scrapbook pages. 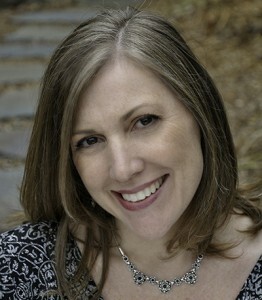 When you complete your layout, post it in the Blog Challenges category of the Scrap Girls Gallery. We’d love to see your work!